MIMO stands for Multiple-input multiple-output. While it involves multiple technologies, MIMO can essentially be boiled down to this single principle: a wireless network that allows the transmitting and receiving of more than one data signal simultaneously over the same radio channel. Standard MIMO networks tend to use two or four antennas. Massive MIMO, on the other hand, is a MIMO system with an especially high number of antennas. There’s no set figure for what constitutes a Massive MIMO set-up, but the description tends to be applied to systems with tens or even hundreds of antennas. For example, Huawei, ZTE, and Facebook have demonstrated Massive MIMO systems with as many as 96 to 128 antennas. Because MIMO systems need to physically pack more antennas into a small area, they require the use of higher frequencies (and hence shorter wavelengths) than current mobile network standards. The extended coverage offered by Massive MIMO means operators can avoid site densification that entails costly new base station sites.Massive MIMO Adaptive Antenna with 3D beamforming works with existing 3GPP Release 9 devices on LTE TDD networks – no need to wait for 5G to get the benefits. Massive MIMO is a basic building block of so-called 4.9G, which will bring LTE network performance to near 5G levels. What are the advantages of Massive MIMO? The advantage of a MIMO network over a regular one is that it can multiply the capacity of a wireless connection without requiring more spectrum. Early reports point to considerable capacity improvements, and could potentially yield as much as a 50-fold increase in future. 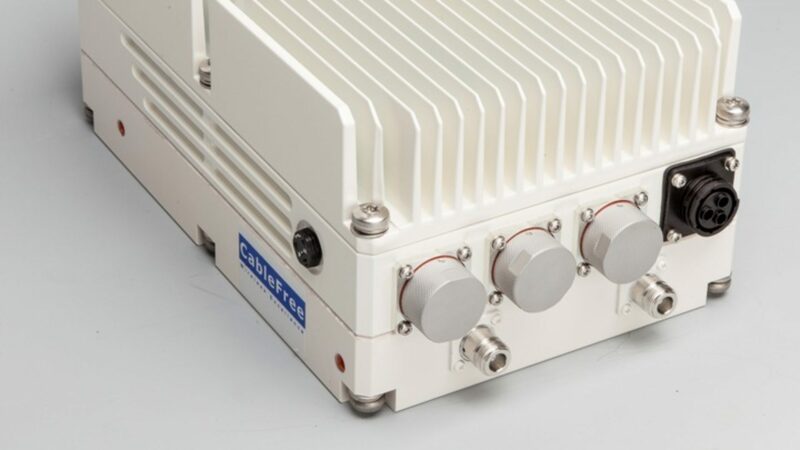 The more antennas the transmitter/receiver is equipped with, the more the possible signal paths and the better the performance in terms of data rate and link reliability. A Massive MIMO network will also be more responsive to devices transmitting in higher frequency bands, which will improve coverage. In particular, this will have considerable benefits for obtaining a strong signal indoors. The greater number of antennas in a Massive MIMO network will also make it far more resistant to interference and intentional jamming than current systems that only utilise a handful of antennas. It should be noted, too, that Massive MIMO networks will utilise beamforming technology, enabling the targeted use of spectrum. Current mobile networks dumbly share a single pool of spectrum out to all users in the vicinity, which results in a performance bottleneck in densely populated area. With Massive MIMO and beamforming that’s handled far more smartly and efficiently, so data speeds and latency should be far more uniform across the network. While standard MIMO principles are already in use in multiple Wi-Fi and 4G standards, Massive MIMO will really play a part in 5G. Indeed, it’s widely expected that Massive MIMO will be a key enabler and foundational component of 5G. One of the key roles of any 5G network will be to handle the huge increase in data usage that’s around the corner. Cisco estimates that by 2020 – when 5G is set to roll out – there will be 5.5 billion mobile users around the world, each consuming 20GB of data per month. That’s not even factoring in the predicted huge impact of the Internet of Things on our mobile networks. Massive MIMO’s ability to serve multiple users – and multiple devices – simultaneously within a condensed area while maintaining fast data rates and consistent performance makes it the perfect technology to address the needs of the forthcoming 5G era. Who is employing Massive MIMO? Massive MIMO technology is already live commercially in China and Japan within a 4G LTE context. The latter country’s Softbank network deployed the first ever commercial Massive MIMO network towards the end of 2016. In early September 2017, Ericsson announced the launch of a new FDD (Frequency Division Duplexing) radio with support for 5G and Massive MIMO. It claims that this will bridge the gap between 4G and 5G, boosting the capacity of existing 4G LTE while forming the foundation for 5G. Chinese network technology companies ZTE and Huawei both announced new European Massive MIMO tests in October. Vodafone and Huawei recently teamed up in Australia to show off Massive MIMO technology in a real world setting. They managed to use Vodafone’s existing frequency spectrum, along with Huawei’s 5G active antenna unit (which features 32 internal transmitters and receivers) to hit transfer speeds of 717Mbps across eight devices. In the USA, mobile networks Sprint and T-Mobile have been conducting their own ambitious Massive MIMO tests, and they join AT&T and Verizon in doing so. Closer to home, Vodafone has become the first European mobile network to deploy Massive MIMO. The company commenced upgrading a number of its UK sites towards the end of June 2017, and should hit 30 more in the latter half of the year. Vodafone is said to be targeting UK hotspots that will most benefit from Massive MIMO’s unique attributes. These will include areas where there are often lots of customers within a small area, such as cities and sports stadiums. The network is using Ericsson base stations formed of 64 transmit and 64 receive streams. It’s not yet know if EE, Three and O2 have any pre–5G Massive MIMO plans of their own. Can current phones use Massive MIMO? While Massive MIMO is predominantly a 5G technology, there are a number of current smartphones that can take advantage of it on current 4G networks – where available, of course. These devices include the iPhone 8 and iPhone X, the HTC 10 and U11, the Huawei P9 and P10, the LG G5 and G6, the Samsung Galaxy S7 and S8, and the Sony Xperia X and XZ. However, it’s worth noting that even older or less capable phones that don’t support MIMO will be able to benefit from the more stable, more sensitive network environment that Massive MIMO will produce.